"Using Design and Real Estate Development to End Mass Incarceration"
We’re delighted to welcome Deanna Van Buren and Kyle Rawlins, Co-Founders of Designing Justice + Designing Spaces (DJ+DS) in Oakland, as the Featured Speakers for MADWEEK 2018 during the Modesto Design Collective (MO.DE) Annual Gathering, on Tuesday, September 18 at 6pm. See more information here! Deanna Van Buren is one of the national leaders researching, formulating, and advocating for restorative justice centers, a radical transformation of the criminal justice system. She currently sits on the national board of Architects/Designers/Planners for Social Responsibility and is a co-founding partner of Designing Justice + Designing Spaces (DJ+DS), an architecture and real estate development firm innovating in the built environment to end mass incarceration. Deanna’s professional career spans16 years as a design lead in the offices of Eric R. Kuhne & Associates London, The Buchan Group Sydney, Michelle Kauffman Designs and Perkins + Will on urban design, domestic, institutional and education projects in the bay area, Europe, Asia and the Middle East. Recent social impact work with her practice includes Restore, a multi-use hub for restorative justice and work force development, The Pop-up Village- a mobile site activation tool and The Reem’s Re-entry Campus. Deanna's work has been featured at TED Women and the Women in Architecture Awards Honoring Pioneering Professionals. She received her BS in Architecture from the University of Virginia, M. Arch from Columbia University and is an alumnus of the Loeb Fellowship at Harvard’s Graduate School of Design. Kyle Rawlins is a co-founder and development director of Oakland-based Designing Justice + Designing Spaces (DJ+DS), a public interest architecture and real estate development firm focused on addressing the root causes of mass incarceration. He is also a co-founder of BIG Oakland, a coworking space dedicated to the architecture, engineering, construction and real estate industry. Kyle has been active in the analysis, financing, design, development, construction and management of real estate in North and South America for nearly 20 years. In addition to pursuing development projects, Kyle has consulted to the New York City Housing Authority (NYCHA) in the development of a solution for how might NYCHA, as landlords with a mission to help residents grow their income and assets, spearhead the creation of an economic development model to empower unemployed, unbanked, credit challenged “NYCHApreneurs” so that they may access capital to build sustainable, livable wage producing businesses. DJDS is a winner of the ArtPlace America 2017 National Creative Creative Placemaking Fund. Kyle and his DJDS co-founder, Deanna Van Buren, are both Echoing Green Fellows - 2016 Black Male Achievement Cohort. Kyle holds a BS in Architecture from the University of Virginia and a MBA from the Harvard Business School. Join us for the second Modesto Design Collective (MO.DE) Annual Gathering - a fun evening of inspiring speakers, food, wine, music and networking with fellow Modesto-area designers of all creative disciplines! This event is FREE and open to all designers and design allies but please RSVP HERE. Modesto Design Collective (MO.DE) is a community of designers, innovators, makers, and creative visionaries. 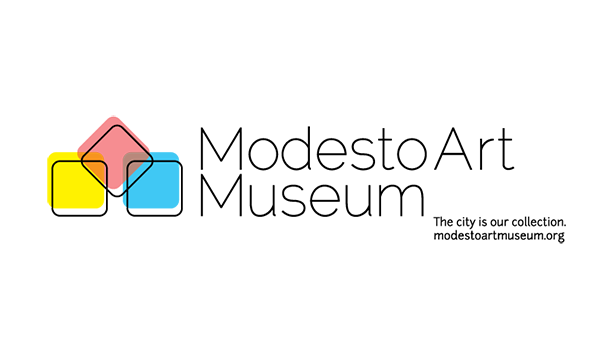 We are committed to making Modesto a vibrant design capital that values, celebrates and supports design and the broader creative community.